May 6-10 is Teacher Appreciation Week at LCS. If you would like to know how to get involved in the week's celebration, ask Kristin Neathamer or complete the Teacher Appreciation Volunteer Form. 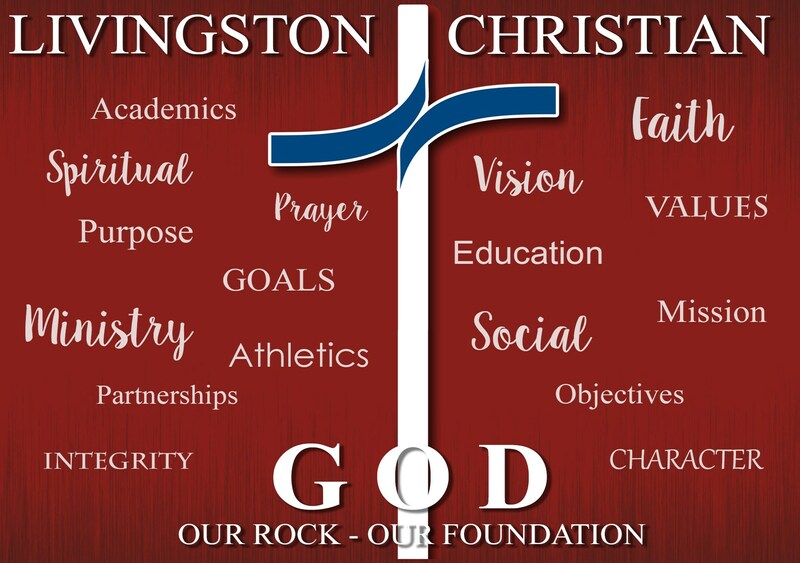 If you're looking for Christ-centered teachers, curriculum, and families, look no further than Livingston Christian Schools. At LCS, students are learning to love Jesus Christ more deeply while growing in academic acuity, athletic proficiency, social maturity, and even philosophical profundity. At LCS nothing is common in the core subjects nor its experienced teachers. Whether studying calculus or learning phonics, LCS students are guided through a highly rigorous and challenging curriculum designed to prepare graduates for the college and career of their choosing. While excelling academically Livingston Christian students also have the opportunity to immerse themselves in sports teams and clubs. Social development comes easily for some students, but those who struggle will consistently experience the care and love of their teachers and support staff along with their classmates. Scriptural love is an action of care for others that LCS students are guided to live and embrace, with the understanding that it is what Jesus expects of each of us at LCS. Judas must have been deeply disappointed that Jesus did not turn out to be the sort of Messiah he wanted. Instead of toppling Rome or the Jewish religious system, Jesus taught submission and service to others. Judas had not become richer and may have become poorer because of following Jesus, although John 12:6 tells us Judas stole from the disciples’ treasury. Beyond Judas’ dishonesty with money was the famous “Judas kiss” by which he identified Jesus for the Romans. Matthew tells us that Judas arranged Jesus’ betrayal, “the one whom I kiss, He is the one, seize him.” The word “kiss” is from the verb phileo which refers to an act of affection, respect, and homage - reserved for those with whom a close relationship exists. It seems that Judas could have simply pointed at Jesus or chosen some other way in which to identify him, but instead he pretended to be innocent and affectionate right to the end, kissing Jesus repeatedly according to John’s account. Matthew tells us that Jesus responded, “Friend, do what you have come for.” Interestingly, Jesus did not use the normal word for friend, philos, but instead used hetairos which means “comrade” or “companion.” Jesus wanted to not only be the friend of Judas but also his savior, but Judas threw it all away. Judas walked and spoke with God for three years, he knew all about him but never acknowledged him as God. Judas chose his eternal destination just as each of us must. This Easter, for we who work with your children, there is nothing more important than being models of Jesus to those young lives. We want them to know and love Jesus - to live for him to the best of their abilities so that they will spend eternity with their savior and friend. This Easter the faculty, staff and board wish you a time of rest, peace and reflection on who Jesus is and what he’s done for us. LCS 2018-19 Yearbook orders are due April 30 so click the link to the form and send it with payment to the LCS office ON OR BEFORE APRIL 30- NO LATE ORDERS/PAYMENTS CAN BE ACCEPTED. On May 1, 2019, LCS will administer the CLT to the 11th grade students. We highly suggest visiting the practice site and take advantage of this free opportunity. Families will be responsible for arranging for ACT and/or SAT testing directly though those organizations if you choose for your students to take either/both of those tests. Students-you can design the cover and first page of the 2018-2019 yearbook! This year there will be two areas for artwork submissions-the cover will be available for junior high-high school submissions and the first page of the yearbook will feature the winner of the elementary submissions. May 2 is a BIG Deal at LCS! May 2 is going to be a busy day- and night- at LCS! We start the day by celebrating National Day of Prayer combined with Grandparent's Day. Then everyone is invited back that evening for the annual Spring Musical. K-5 students have invited their grandparents and special friends to visit LCS on Thursday, May 2, for the National Day of Prayer celebration. While it is not required that students have guests attend, please RSVP for anyone attending by emailing office@livignstonchristianschools.org or calling 810-900-1200. Please see the article and email notifications for more details about the musical as well. The LCS Spring Musical will take place on Thursday, May 2 at 6:30 pm in the sanctuary of The Naz. Students, families and guests, please use the main church entrance- NOT the school entrance. Band- arrive at 6pm wearing spring colors. 5th grade band will meet in the LCS Chapel (aka Children's Worship Center). Secondary band will meet in the hall outside the sanctuary. Elementary students- arrive at 6:15 pm wearing spring colors (NO JEANS). Teachers will be in the church lobby waiting for their classes. LCS girls in grades PK-12 are invited to bring their Daddy (or Grandpa, favorite uncle...) to join us for a magical evening on Friday, May 10 at 6pm in the LCS gym. Tickets will be available beginning April 23 from Mrs. Bonnie Johnson or the LCS office. The Livingston County Health Department will be at LCS on Monday, May 20 to conduct hearing and vision testing.